Our goal is to connect people with the best local experts. 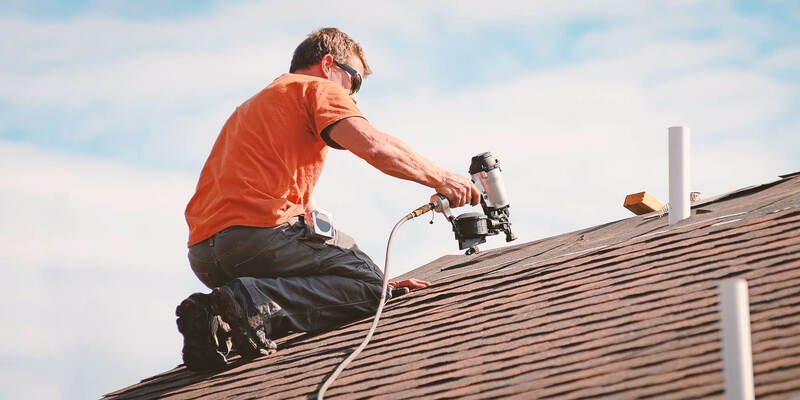 We scored roofers on more than 25 variables across five categories, and analysed the results to give you a hand-picked list of the best roofers in Carlsbad, CA. When customers want friendly, honest service from a reputable roofing contractor, Carlsbad Roofing Company is there to help. The company helps customers find the perfect new roofing to suit their tastes, budget, and style, including options like metal, wood, tile, and asphalt, as well as industrial and commercial-grade options like PVC and modified bitumen. If customers have leaks, missing shingles, or wind damage, the offers emergency repairs service to protect properties from water damage. The company’s website has information about the range of available roofing materials and styles, as well as a contact form where customers can get an instant quote for their next repair, replacement, or installation project. Whatever the needs and budget, Carlsbad Roofing Company is the place to call for the best service around. Landmark Roofing Inc. is a Vista locally owned business that serves residential and commercial customers. Areas the business serves include San Marcos, Poway, Chula Vista, Escondido, Solana Beach, Coronado, Oceanside, Del Mar, National City, Encinitas, Imperial Beach, El Cajon, La Mesa, Carlsbad, Santee, and other areas. Services Landmark Roofing Inc. offers include roof installation, roof repairs, re-roofing, rotten wood replacement, roof maintenance, and pressure washing. Landmark Roofing Inc. is licensed and insured. The business is accredited by the Better Business Bureau and has an A+ rating. Customers remark on their knowledge, efficiency, professionalism, patience, attention to detail, helpfulness, and clean-up. Oceanside Roofing Company is a full-service roof contracting company in Oceanside, California. Their services include residential roofing solutions, commercial roofing solutions, industrial roofing solutions, roof repair, and new roof installation. Their roofing systems include built-up roofing, asphalt shingle systems, tile roofing, metal roofing, wood shingle roofing, modified bitumen roofing, TPO commercial roofing, new spray foam roofing, and PVC commercial roofing. Oceanside Roofing Company has obtained their qualified and licensed roofing contractors through marketing and lead generation services. Oceanside Roofing Company is committed to bringing quality, affordability, and durability. They aim to provide consistent customer satisfaction, and they guarantee the quality of their service. The company offers a free quote. Oceanside Roofing Company strives to be the trusted source for local roofers. R Squared Roofing Services handles professional roofing services. Residential customers appreciate the licensed group's detailed inspections with a full report indicating issues and concerns, and all work performed from repairs to re-roofing is also documented for full transparency and to keep the building/home owner informed. Commercial clients hire the team for roof leak repairs, single ply roofing systems, steel roofs, complete roof inspections, and specialized labor crews that are affordable, worry-free, licensed, and insured and that also come with a warranty on all workmanship. Interested parties can phone R Squared Roofing Services for additional service details, products, and pricing and are requested to confirm square footage of the roof in need of service as well. Inspections for clay tile roofs are not presently available. Regan Roofing, Inc. is a full-service roof contracting company that is located in Carlsbad, California. The cities they serve include Allied Gardens/del Cerro, Alpine, Balboa Park, Bonita, Bonsall, Borrego Springs, Boulevard, Camp Pendleton, Campo, Cardiff By The Sea, Carlsbad, Carmel Valley, etc. Regan Roofing, Inc. also covers the cities of Chula Vista, City Heights, Clairemont, College Area, Coronado, Del Mar, Descanso, Dulzura, El Cajon, Encanto, Encinitas, and more. Regan Roofing, Inc. specializes in commercial roofing as well as residential roofing. This roof contracting company offers free estimates. Regan Roofing, Inc. is a proud member of the National Roofing Contractors Association. This roof contracting company is also proud to be a member of the Western States Roofing Contractors Association. Regan Roofing, Inc. is a Better Business Bureau accredited business. Roof Rite is a locally owned and operated, full-service roof contracting company in Vista, California that has been in the roofing business for more than ten years. Roof Rite provides re-roofs, leak repairs, flat roofs, tile roofs, torch down, hot mop, composition, emergency leak repairs, wood repair, termite damage, residential, commercial, roof drain installations, single ply, new work, and more. The company also offers maintenance, quality workmanship, Title 24 compliant roof systems, free estimates, all work guaranteed, and roofing repairs. Roof Rite is licensed and insured. They strive to do it right and are "raising the standards of excellence in the roofing industry." Roof Rite offers free estimates. The company is certified by the Contractors State License Board and is a Better Business Bureau accredited business. Shield Roofing, Inc. is a full-service roof contracting company in Carlsbad, California that has more than 35 years of experience as a specialty C-39 roofing contractor and a B-1 General #93906. Shield Roofing, Inc. delivers all types of roofing such as commercial, residential and industrial. They specialize in maintenance, new construction, re-roofing/repairs, and shield roofing. The company is fully bonded and has $2 million worth of liability insurance for the protection of their customers. They provide a ten-year labor guarantee on all new roof systems installed. Shield Roofing, Inc. offers a free quote. TWM Roofing Inc. is a roofing business backed by 30 years of service in the area. The team boasts an average of 20 years of experience per employee and promotes the highest standards in the roofing industry with services for residential, commercial, and HOA properties. Clients have access to tile and flat roof repairs, energy-savings roofing, re-roofing, asphalt shingles, and premium manufacturer warranties as well. TWM Roofing holds an A+ rating with the BBB, is the City of Temecula’s exclusive roof repair and maintenance contractor, and is certified for roof related building inspections throughout San Diego County. The fully insured company is also a Certified GAF/ELK Contractor, a Certified Owens Corning Contractor, and a Certified Johns Manville/Dibiten USA Contractor.